You haven’t sent your resume out. 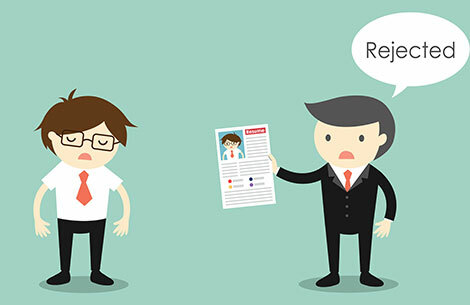 Your resume can only start working for you when you actually send it to prospective employers. If you are trying to please multiple reviewers, anxious about every comma and period, or worried about presenting yourself correctly, you need the objective help of a professional resume writer. You don’t know what employers are looking for. Research the companies and positions you are applying for. Read job postings and advertisements. You must know what companies want when they advertise for a specific job opening so that your resume covers those basics or bridges any gap between what you offer and the job demands. Your resume is too confusing. What type of position are you looking for? What skills, experience, and education do you have for that position? Which of your past achievements are most predictive of your future success? If you don’t know, and simply throw everything into the resume in hopes that employers will sort it out, you are wasting everyone’s time. You send your resume out only in response to job postings or advertisements. Your resume is an important tool for your job search. You should email it to friends and family, make sure that your LinkedIn or other online profile supports it, carry it with you to networking events, and use it as the basis for your elevator speech. Your research into companies (see #2 above) may reveal that they have a problem you can fix: Don’t wait for them to post a job, but contact them now about your ability to solve their problem.